One of the most anticipated types of wargame experiences is a BIG multi-player wargame with lots of players and many miniatures. Often they are played on very large table surfaces and last an entire day. I've had the opportunity to organize or help with many of these over forty years. Each game taught me something new and vital to make these opportunities better and better -- for the players. 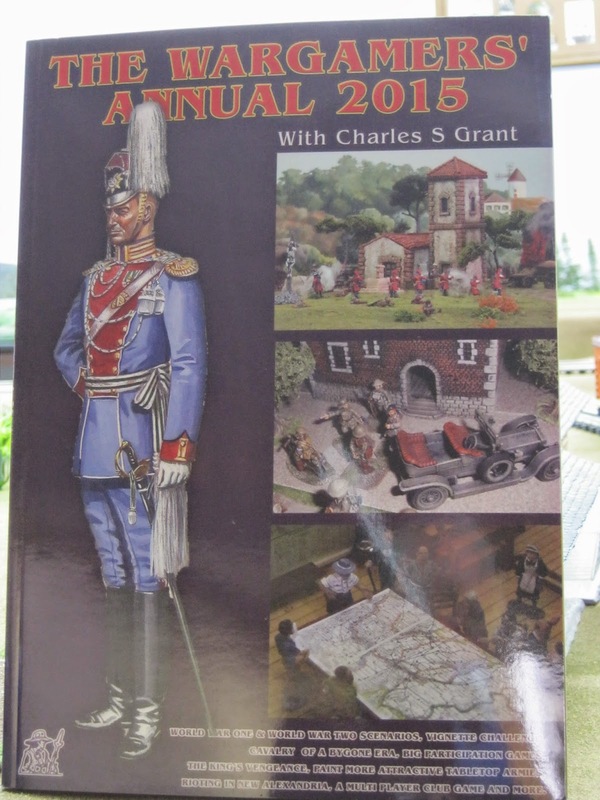 Charles S. Grant's, The Wargamers' Annual 2015 published by Caliver Books last month. Go to www.caliverbooks.com or inquire with wargame book vendors with whom you give your trade. Above please note the lower right-hand corner photo showing Mr. Playfair explaining his BIG wargame to eager players. One isn't so eager though. He has another disreputable agenda. 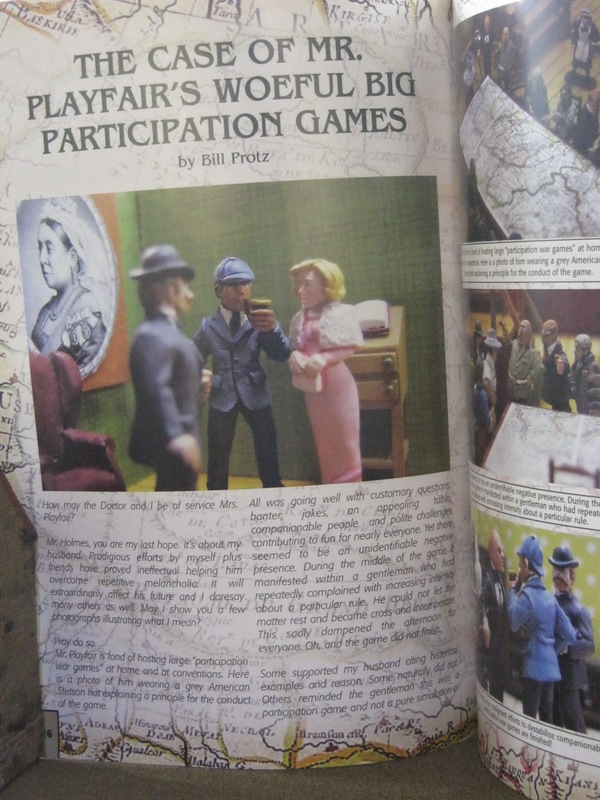 The mistakes I caused and lessons learned are codified in the article I wrote titled above, The Case Of Mr. Playfair's Woeful Big Participation Games. It begins with Mrs. Playfair speaking with a celebrated consulting detective and his loyal associate. She fears her husband, Mr. Playfair, is becoming disillusioned about the big games he loves to host. She is right. Apparently there is a presence ruining them. I wrote the article for you - to help you - not repeat my mistakes and errors of others I've witnessed. A BIG wargame is a singularly different activity. Effort to produce one is enormous for everyone. It is also a fragile thing, easily ruined, without corrective procedures. The 2015 Annual has an appealing variety of other articles. These will make for good easy reading and are chock full of insight, lovely images and more. Enlarge the second photo to read a small portion of the article.